Midsummer in Finland is a celebration of joy, happiness, and white nights. This year, an exceptionally dark cloud in the sky appeared, as Timo Nuutilainen, Esko Nuutilainen’s son called to inform us that Esko passed away on Saturday 25.6.2016, finally subsumed by a severe illness he suffered for several years. Esko Nuutilainen (14.5.21945 – 25.6.2016) was a synonym for the Finnish chess administration for decades. Many chess players enjoyed his generous help any day of the week both in the Finnish Chess Federation and Finnish Correspondence Federation. 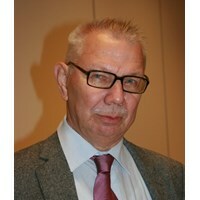 Esko was the general secretary of the Finnish Chess Federation for an incredibly extended period from 1979 to 2008. He took care of the administration of the Finnish Chess Federation including financial management and the administration of the merit committee for 28 years. He achieved the International Arbiter title in 1989. He was granted the silver medal of Finnish Chess Federation in 1981, the silver medal with golden pawns in 1986, and the golden medal in 1998. Esko was the chief editor of the national chess magazine Suomen Shakki from 1996 to 2008 and the managing director of the Finnish Chess Publishing Ltd from 1997 to 2008. In the Finnish Correspondence Chess Federation, he was the chief editor of the Federation magazine Kirjeshakki for 30 years from 1972 to 2002, and he was the member of the board from 1972 up to his death, of which the secretary of the Federation from 1975 to 1991. Esko achieved the title of International Correspondence Chess Arbiter in 1975. He operated as the national ICCF officer in 1990 and from 2012 to 2015. The Bertel-von-Massow medal was granted to him for his international achievements (Silver in 1984) and (Gold in 1987). He was elected as an honorary member of ICCF in 2011. Esko attended many of the annual ICCF Congress’ usually accompanied by his lovely wife Seija – a total of 28 times and was the Chief Congress Organiser for all three congresses held in Finland: Järvenpää in 1979, 1991, and 2011. Born in Joensuu, Esko was above all, a warm-hearted, much appreciated, and liked man. Jovial, peace building diplomat and an invaluable persona and friend with his stories and anecdotes. His dry English humor will be sorely missed. For the last few years, Esko suffered from a severe illness, but he never lost his sense of humor and joy of life. Even in pain, he was taking the better of it -- he always had strength and will to smile, bring his ideas, knowledge, and help on the board of Finnish Correspondence Chess Federation Board. We have lost a good friend, and we wish all the strength to his lifelong companion Seija and his children and their families. Esko was fortunate enough to spend his last moments with the people who he loved – you could not hope for more!